Ishikawa Prefecture's traditional craft Yamanaka lacquerware is a unique Japanese art craft created by applying patterns on the surface of lacquerware with gold or silver powder. This gorgeous decoration is applied to brush handles by craftsman’s techniques. 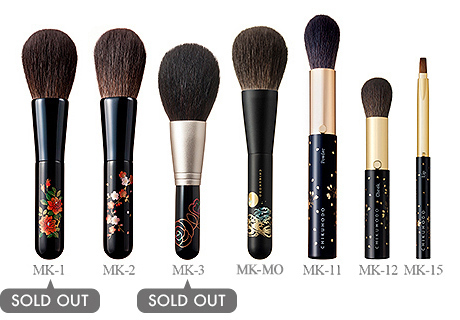 Copyright © CHIKUHODO Co.,Ltd. All rights Reserved.